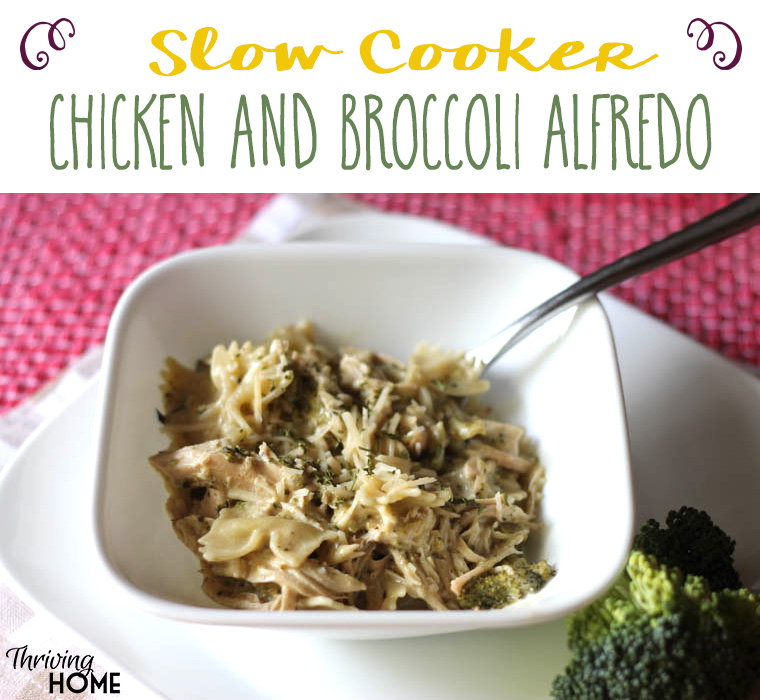 I made this Slow Cooker Chicken and Broccoli Alfredo pasta tonight and it was a huge WIN. 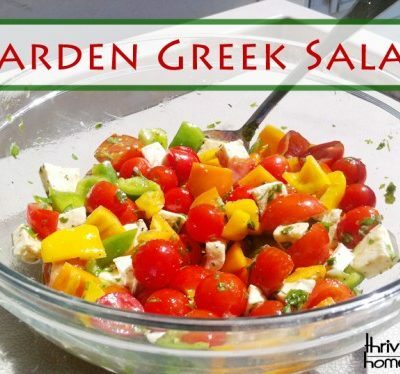 Pair it with a little garlic bread and your people will be itching for more. 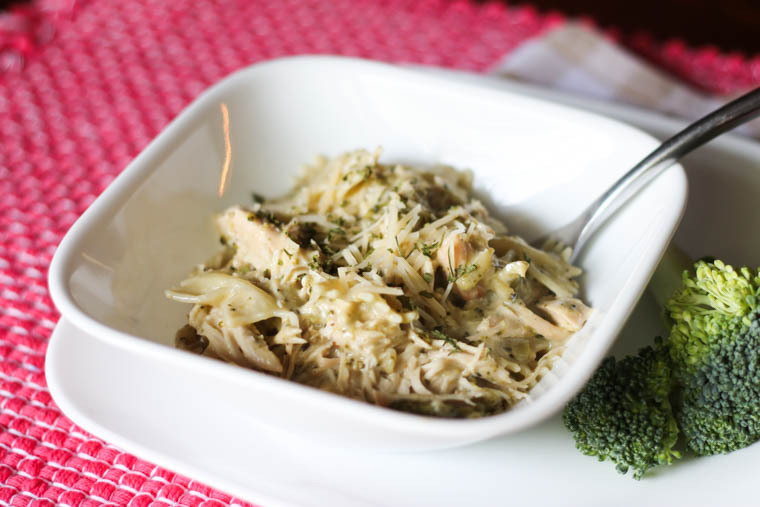 This slow cooker meal would be a great recipe for a beginner cook. 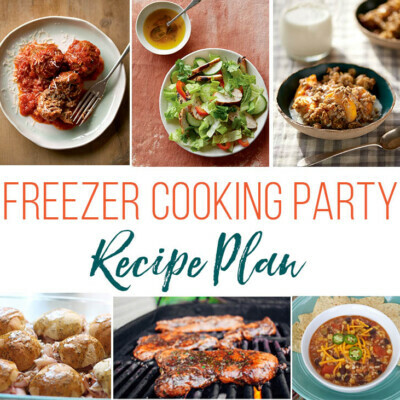 (Here is a collection of easy recipes if you’re looking for some!) 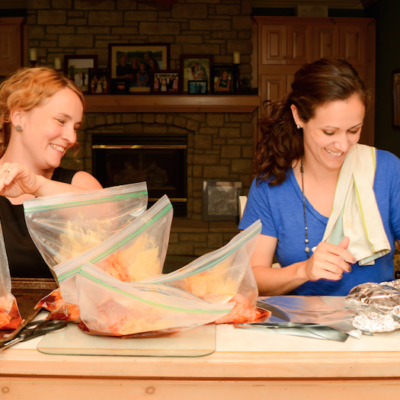 It is incredibly easy to put together, has lots of flavor and makes loads of leftovers for future lunches or dinners. 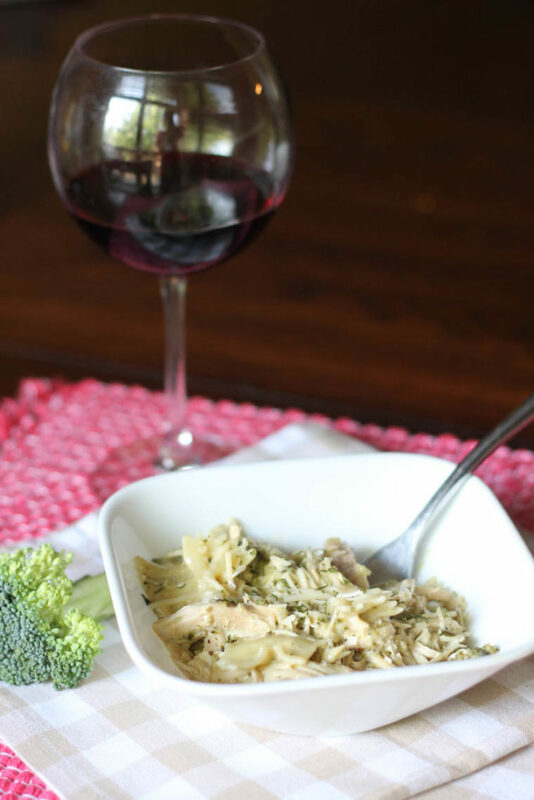 Its creamy-pasta-goodness is very filling and the broccoli in it is pretty hidden so if you have some picky eaters, this is a great recipe to sneak in some nutrition. If I would have had fresh parsley on hand, I would have thrown a little of that in there too. You really can customize it to what you like. 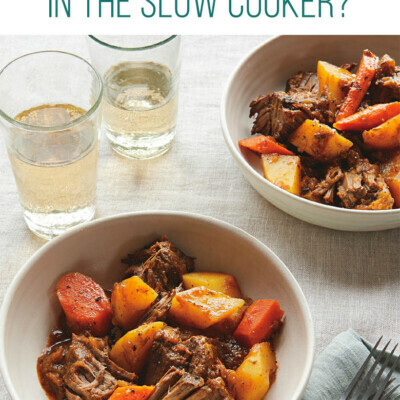 Want some other slow cooker ideas? 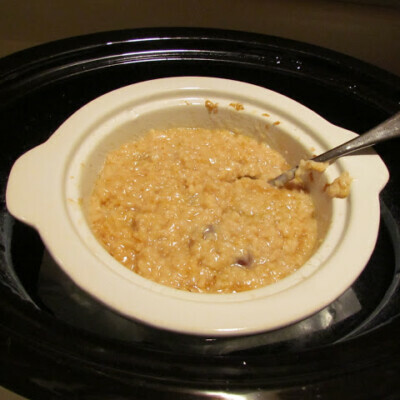 Swing by other tested and approved crock pot recipes that you may want to give a try. 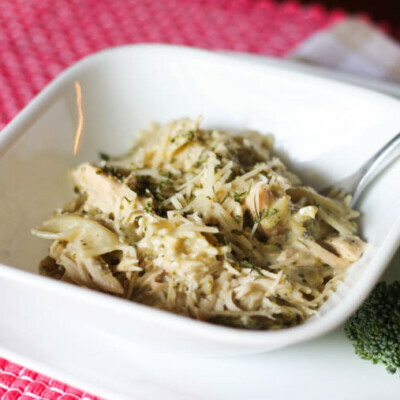 Let your slow cooker do all the work in this fantastic pasta dish! The combination of chicken, alfredo sauce, broccoli, and parmesan cheese will leave your family begging for more! Place chicken in crock pot and add salt, pepper and garlic. Dump alfredo sauce over chicken. Cover and cook on low for about 2.5-3.5 hours. Add broccoli and cook about 1 more hour or until chicken is cooked all the way through and broccoli has softened.